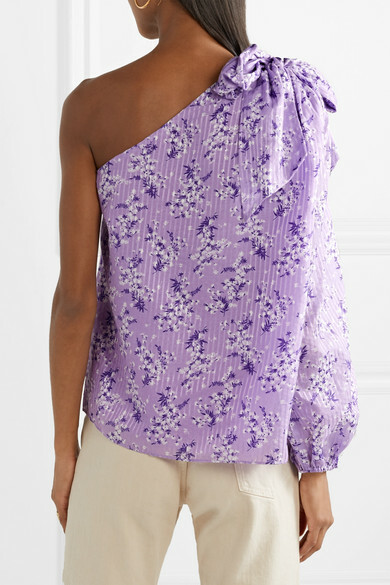 When it comes to her personal style, Ulla Johnson loves lots of color and a strong shoulder, both seen in this 'Enid' top. 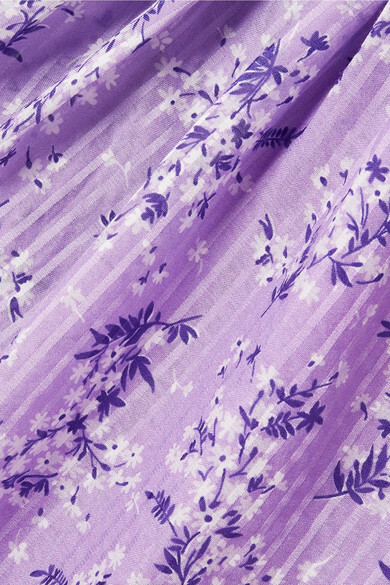 Cut from airy cotton and silk-blend, this piece is patterned with tonal stripes and ditsy flowers that beautifully pop against the lilac backdrop. 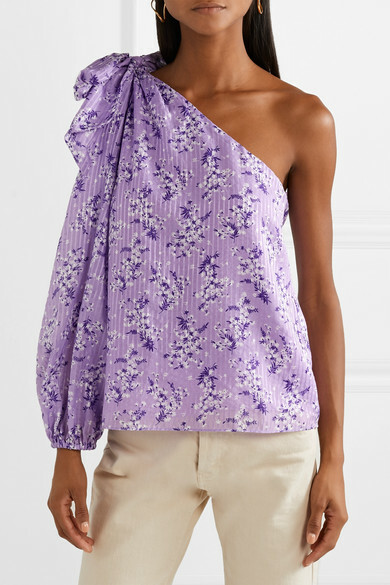 It's topped with a pretty bow and has an elasticated cuff that accentuates the billowy sleeve. 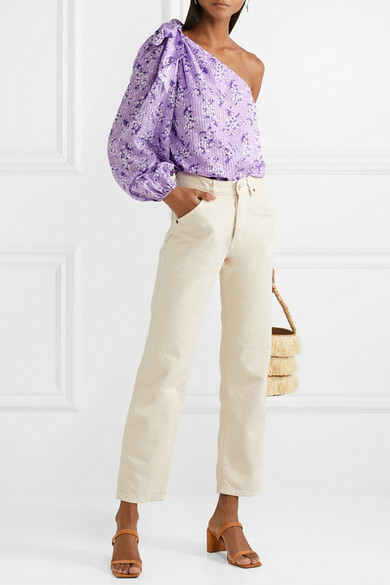 Shown here with: Jacquemus Jeans, Kayu Tote, BY FAR Sandals, Chan Luu Earrings.